People and horses have had a symbiotic relationship throughout human history. Like humans, horses are highly intelligent and social animals that naturally gravitate toward living in familial groups. A growing body of scientific research has confirmed being around animals can alleviate stress and help reduce the symptoms of anxiety and depression. At Canyon Crossing, we offer equine therapy to help our clients learn to establish healthy boundaries and develop a routine as part of their recovery from addictive behaviors and substance dependency. Working closely with horses challenges people to view themselves and their world in a new way and encourages them to develop new skills for healthy living in recovery. Equine therapy is a healthy way for people to get in touch with their thoughts and feelings. Thousands of years of evolution have shaped horses to be uniquely responsive to human emotions. If someone approaches them with anger, the horse may become stubborn, whereas horses often act more skittish around people who are anxious. However, being around someone who is calm and composed will cause a horse to respond in kind. Learning to read a horse’s emotions promotes self-awareness and can help people see themselves in a more realistic light. Many people with addictions and mental health issues become emotionally stunted. However, even those who struggle to relate to other people can still manage to establish close bonds with horses. Though horses cannot speak, they are still excellent communicators. Interpreting and understanding equine behavior can help people learn how to relate to other humans. While riding can be part of equine therapy, the most important work happens during interactions such as grooming manes and tails and feeding and watering horses. Through the horse’s responses and their therapist’s guidance, clients begin to recognize and correct misconceptions and learn to work through suppressed emotions. Horses are very honest and will clearly communicate when someone has crossed their boundaries. Trying to control or dominate will not work with a horse. Similarly, being detached or submissive may make a horse unwilling to cooperate. Equine therapy can help clients realize valuable connections between the way they interact with horses and the way they react to other people in their lives. 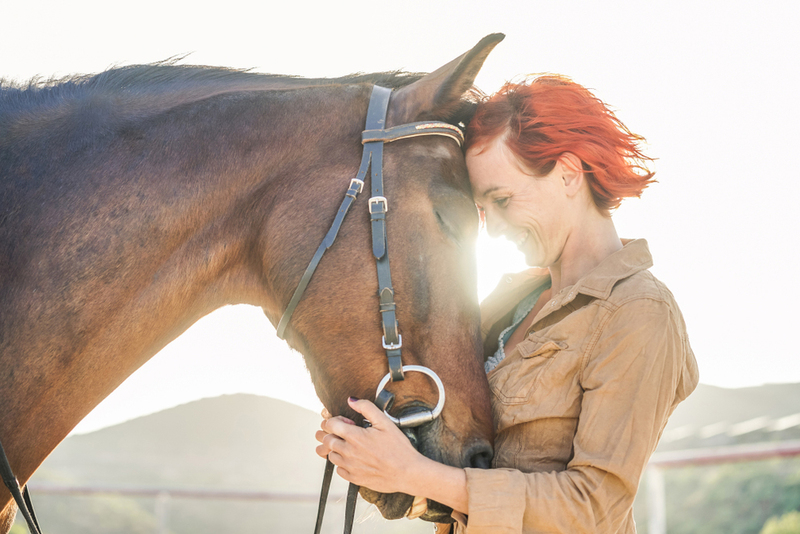 At Canyon Crossing, equine therapy is one of the options we offer in addiction treatment for women. If you love animals and nature and would like to learn more about our Prescott, AZ, rehab facility, contact us today.